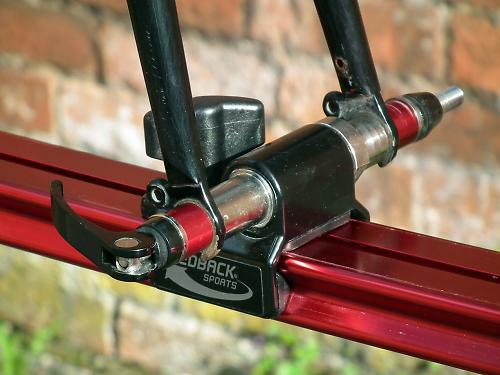 The Feedback Sports Sprint is an excellent workstand that's a joy to use on normal or disc-braked bikes. It's genuinely hard to fault. The Sprint arrives almost completely assembled. The only thing you need to do is insert the single quick-release (QR) skewer, so you're up and running in a few minutes. The three legs are folded out by sliding a centre ring down the pole which pushes the legs out to the desired width, and these are then locked with a QR lever on the ring. Your bike sits on the sliding arm of the Sprint, which is secured by a QR underneath the welded head at the top of the pole. This lets you move the arm back and forth on the stand to get the balance just right, then lock the arm in place. The pole itself slides up and down by 46cm, locking by another QR clamp. The folded package can be stored freestanding or leaned against a wall. When folded it's a pretty compact 82cm tall and 24cm across at its widest point. It weighs 5.7kg - light enough to hang on a wall or back of a door, and easily included in luggage for that training camp or holiday flight/road trip. 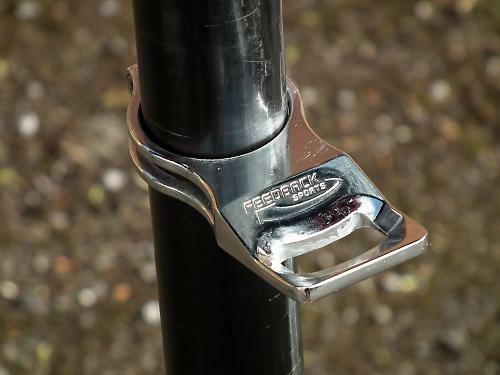 If you use the stand for washing bikes you'll want to keep it reasonably clean to ensure friction-free sliding - a rag with a bit of WD40 does wonders on the outside of the pole and the sliding pole that holds the bike. Plus it makes everything shiny again. With a bike clamped on there's no rocking in any direction - the Sprint has a massive nylon bushing at the bottom of the black pole inside the body that removes any hint of wobble. The feeling is of very tight tolerances and a high quality design - over three months of daily use nothing loosened or lost its rigidity. The red anodised aluminium used throughout looks great, and will never rust no matter how dirty or neglected it gets. A major benefit of the Sprint over some designs is that you can turn the bike with an easy push to access the other side. On the pole there's a sliding collar with a QR to lock it at the desired height. A second QR locks the spinning action or holds the bike up while you adjust the sliding collar. As the pole cannot be pulled out of the body there's no problem lifting it to relocate in the workshop. Also, as the legs are locked you know it will be fine to put back down, even on an uneven surface. The height that a bike's bottom bracket sits at can be adjusted between 79 and 125cm above the floor, so most people can work comfortably on drivetrains or brakes or you can drop it down to easily reach the levers for shifter/brake fettling. At its maximum setting, the foot of each leg sits 57cm out from the centre of the stand, giving a triangle-shaped footprint a metre on each side. This is a large distance compared with other stands. With an average-size/weight road bike on the stand, 35 Newtons of force is required at the fork to tip the whole lot over - the force required to lift 3.5kg - so a decent amount, and in comparison with another stand on review, it's twice the amount of force to tip over with the same size bike on board. As the legs can be locked at any distance the Sprint could easily be used in a confined space such as a van, shed or small hotel room. Feedback rate the stand for bikes up to a whopping Dutch/e-bike 38kg. The welding around the head mechanism is industrial-strength, so no concerns about longevity. The bike rests on its bottom bracket, sitting on two 12cm-long rubber-covered metal strips that support the BB shell. The rubber is 8mm wide, with a 52mm gap between them, allowing 25mm of clearance underneath for any cable routing, power meter accessories and so on. On arguably the most common setup - a 68mm BB shell with external Shimano bearings - the fit is perfect. The strips protrude 4cm out the back so the rear wheel can be placed between them, removing the risk of the bike moving sideways off the stand. The fork slider has a large plastic-coated wingnut. 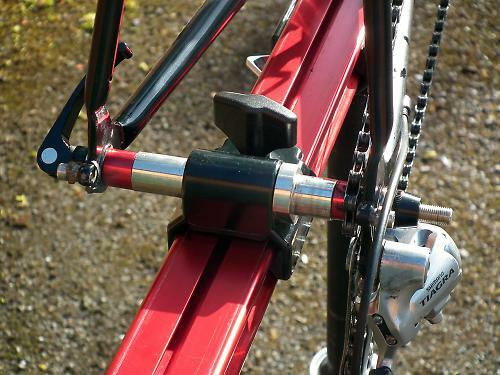 This is easy to loosen so the slider can move in or out to centre the QR axle underneath the fork. The QR has a good cam action, and once you have the distance set right the QR opens clear of any but the largest of 'lawyer lip' retainers on the fork tips. As the fork sits directly on the 9mm-thick QR, if you need to adjust the QR skewer distance by winding the nut in or out you can do so by holding the bike so the fork presses down and stops the QR spinning while winding the nut. Designs that mimic a 9mm axle with a thinner QR through it require two hands to adjust the QR closing distance, leaving the bike at risk of tipping over while both your hands are occupied. Once the QR is locked and the slider handbolt done up, the bike can be further secured by passing a spare toe-strap (remember them?) through slots under the BB mounts. This is particularly relevant for BB shells with no external cable routing or external bearing cup to act as a natural sideways-movement limiter, as it removes the risk of the bike pivoting around the headset, slipping to the right and off the stand. It's a belt and braces approach, and in practice I didn't find bike security an issue. The silver adaptor that the QR assembly slides inside is standard front hub 100mm spacing, with the QR having two additional red bushes of 15mm width on either side to space a 130mm dropout (normal rear hub), plus a further two silver washers of 2.5mm each to take it up to 135mm (for a rear disc hub). The QR skewer is 9mm thick for standard road/mountain bike dropouts. Inside the silver adaptor is a 15mm diameter red bushing that the 9mm QR slides inside. Remove the 9mm QR and 15mm bushing and it leaves a 15mm hole that then accepts 15mm thru-axles. For bikes fitted with 20mm thru-axles, an additional screw-in adaptor is available for £20. It's quick and easy to swap out. In the box you get a 142mm-long, 12mm inside-diameter tube that can be used for mounting frames with the new '142x12' rear axle standard. This is a lot to take in, but in practice it works very well. Unlike other designs that have two normal fake axles/QRs for front and rear mounting, or a large number of loose adaptors to lose, Feedback have found a way to mount pretty much every current standard for road and mountain bikes, disc or rim braked, in one package. And because the design uses a large generic sliding carrier to put the adaptors and QRs inside, it's future-proof too. Katie Macarelli, marketing co-ordinator for Feedback Sports, advises: "Feedback Sports will always make available for purchase adaptors that are compatible with the current wheel spacing standards. The Feedback engineering staff are constantly developing new and innovative items that are made for (and tested by) all levels of cyclists". Good to know that with a new axle standard seeming to appear every year or so, your top-shelf workstand will remain relevant. Mounting using the rear dropouts is much the same - remove rear wheel, position BB on the rubber strips and lower onto the QR. There are three options for rear axle width - 130mm or disc brake-friendly 135/142mm. Usually you wouldn't want to run the chain over the QR axle - it's a bit of a faff to get it mounted because of the derailleur tension, and if you're doing drivetrain work you'd be better off mounting the bike by its fork. But if you really need to, the chain will pass pretty smoothly over the 19mm outer diameter of the spacers. When mounting using the rear dropouts, the bike is slightly more front-up than it would be with wheels attached - so you need to come up with a way of holding the handlebar straight to stop it flopping to one side. 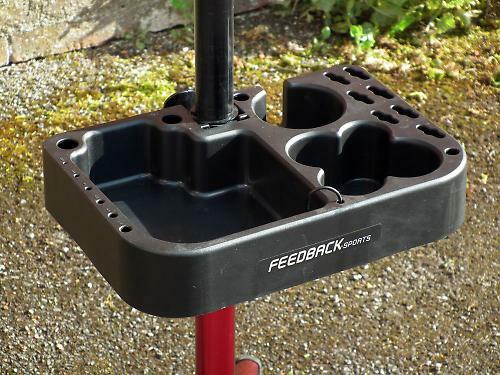 Feedback sell their Flop-Stop handlebar holder for about £20, which is more or less a compulsory purchase for front-end work unless you want to spend a lot of time faffing with bungee cords. Feedback also do a sturdy double-layer nylon tote bag for the Sprint, for £30. The stand fits inside snugly, with the QR removed and popped into a Velcro pocket along with any other bits and pieces like thru-axle adaptors and tools. The strap is offset for easy carrying over one shoulder or as a backpack. I'm loath to call anything 'baggage-handler-proof', but it seems like it could take a good thrashing. A tool tray (£35) will, with the help of some adaptors, fit any of Feedback's stands, either on the body or the sliding pole. The attention to detail here is exemplary. There are holes for 2-8mm hex keys and screwdrivers, slots for cutters/pliers, a hook for hanging rolls of cable, and a large area called the 'Washbasin' complete with drain plug. The tray can be removed or added to the stand in a few seconds using a couple of plastic shims to space the bracket the tray clicks into. The pole won't slide down completely to go in the bag with the plastic bracket still attached, but you can lift the tray off the bracket in a second if you want to use the stand for washing, to empty out used cleaning fluid, or it gets in the way of a tricky procedure. Once on the stand it can be slid up, down or turned while loaded, and still hold steady when needed. But most importantly there's a space in the tray dedicated to either a large mug of Yorkshire* tea or a pint glass of real ale, with or without handle. *Yes, it has to be Yorkshire. It's The Rules. Finally, Feedback Sports won't like me telling you this, but it is perfectly possible to mount their 'seatpost-clamp-stand-only' bottle opener on the Sprint in a few minutes using a 4mm Allen key, a block of wood and a mallet. This is a major USP that enlivens any workshop and Feedback really should think about making this an option at purchase. Just be warned that if you do fit the bottle opener, it makes getting the folded stand into the tote bag a squeeze. But worth the effort for the training-camp-race-wash-area kudos of opening team or competitor beverages. The Sprint workstand is a joy to use. The tight tolerances, range of height adjustment and faff-free nature of a single QR that does multiple frame widths and axle diameters all add up to a consistently excellent experience. The wide legs give confidence when working on heavy bikes doing high-torque jobs; setting up and folding away quickly becomes second nature; and the ability to work on different parts of the bike, spinning or locked, high or low, means you don't have to leave your bench. 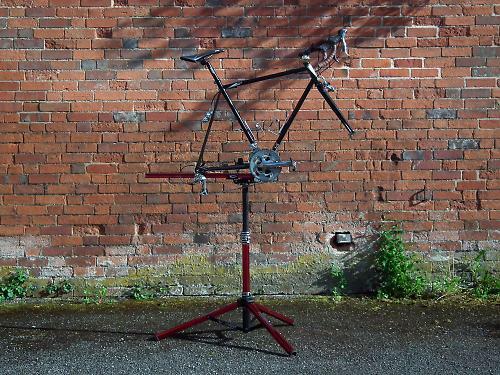 In three months of heavy use as both washstand for filthy road bikes and mountain bikes, and a workstand for everything from £5K titanium whippets to full-sus disc-braked behemoths, it didn't skip a beat. The 5.7kg weight and small size in the padded travel bag mean you can easily fly with the Sprint as cabin luggage or shove it into a car boot. This is a rare product that I cannot think of a way to improve; after three months I'm stumped. 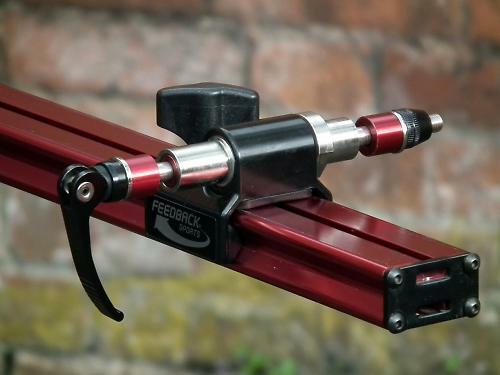 The Feedback Sports Sprint workstand really is that good, and the customer support is, by all accounts, exemplary. Overall the Feedback Sports Sprint Workstand is a great-looking top-class bit of kit that you'll look forward to getting out to use. If you can bring yourself to put it away, that is. It's for working on any road bike or mountain bike, where portability, stability or desire not to clamp seatpost/frame is a preference. Feedback say: "The Sprint Work Stand is a professional level bike repair stand for those who prefer the stability of a traditional fork mount." Best in class. Can't fault it. Can't think of a single thing that could make it perform better. In three months of daily hard use it retained its tight tolerances and smooth action. No reason not to suspect it will do so for years. Not the lightest stand, but the lightest stand that's not a compromise in any regard. Given the quality and anticipated longevity, the value is very good at £250, even better at the frequently-found price of £200. Can't fault it. Worked exactly as described/required. The tolerances. Clearly FBS have a serious design ethic and manufacturing QA process. 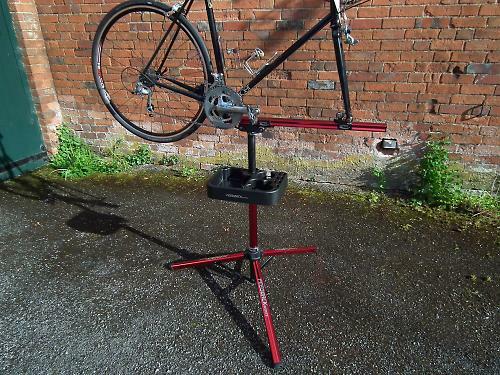 Yes you can get a decent workstand for £100 less, but if you do a lot of work on your bike and can afford the £250, this is a top-marks stand. I bought a work stand from Aldi which is also a joy to use on normal or disc-braked bikes. With the £225 I saved I bought a lovely pair of cycling shoes, a helmet, a pair of arm warmers and a few coffees. Welshboy, I have purchased four of the Aldi/Lidl stands in the last two years. I have one outside in the drive for cleaning winterised bikes with full front mudguards, and one inside for working on them. I'm not worried about it getting nicked. But the user experience is totally different. Apart from breaking two of the clamps through normal use (replaced under the 3yr warranty) it has more or less corroded solid, looks like it's a hundred and slops all over the place. No way would you want to be breaking out a stuck BB on one. Plus you need a lot of seat post showing, or you need to faff with the Most Holy of bike settings, seat height, just to hang it. And you need to wind the arm clamp to breaking point (even after applying a friction-enhancer) to hold the bike level. If you like working on bikes and do so regularly, there really is no comparison. Looks mighty and well written review. Price is a major factor thou. I have the tacx cycle motion stand which is solid as a rock and you can jump on it for stubborn pedals at £110. This platform sort of stand is essential when I watched a friend clamp and kill a carbon top tube . For the price, I'd expect the tool tray & bag to be included and not extras to be purchased later! The price of the tool tray is on-par-ish with the Park one (noting you need the extra Park clamp to attach it to as well), and is more user-friendly. Is it 'worth' £35? depends on how much work you do. I used the stand for about a month before the tray arrived to review, and noticed the difference. Just as having the stand spin means you can work without having to walk around the bike, having the tray there means for jobs where you are back & forth between a handful of tools/lubes/parts means you don't even need to turn around. This is handy when doing jobs that require five arms, such as cantilever MTB/cyclocross brakes. Plus it holds pints. In its own special pint holder. That fact cannot be oversold. Just go easy on the WD-40 unless you like the taste (if you are an Old Speckled Hen type you may find it improves things). The padded travel bag is only really for people who are flying often. For them, £20 to properly protect the stand and make it carry-able is a bargain. Yep, the CycleMotion stand looks good. Can't say I've used it, but my thoughts would be that it's missing a few of the critical USP's you get with the FBS Sprint. Firstly, it doesn't spin. That's a biggie for people who regularly wash or maintain bikes. Once you've lived with a stand where you don't have to endlessly walk back & forth to grab a tool, part or rag, or to drag the hose around/walk to wash the other side, your life becomes about 13% better. Secondly, the Tacx is fixed height. Again for occasional use that's OK, but for regular use? Not ergonomically great. Thirdly, it's limited to 5mm QR's, so not compatible with any bike using any of the increasingly-popular bolt-through axle standards. Plus, as best I can tell from the manual, it's standard 100/130mm road hub spacing. So if your bike runs discs on 5mm QR's you may be out of luck. Fourthly, the folded size of the FBS Sprint is less than half that of the Tacx, and it weighs 2.3Kg less. Of course if you own a large garage or don't ever travel with your stand, these aren't issues. I envisage others will want to voice how happy they are with their stands at pricepoints below the £200-220 the FBS Sprint is commonly available at, but I'm 99.9% certain they will not meet the capabilities - in functionality or axle standard support - that the Sprint does. If your use case is limited to occasional work on 5mm-QR'd bikes, you don't need to schlep it anywhere and aren't bothered walking back & forth around it to grab stuff then yes eschewing the Sprint may give you an extra £90-odd you can invest elsewhere. The bike world is full of such choices. Anyone choosing to scrimp/save the relatively small amount extra for the FBS won't regret it. ...a tray of some description should be included so I don't have to put my tools on the floor and keep bending down to pick them up. The travel bag? I could live without! I guess - like Park and many other stand mfrs - they figure that not everyone wants/needs a tray, and to include it would only make it more expensive for everyone. If I'm working on the bike outside I carry the tray in, load it up with tools/stuff then back out to bask in what is laughingly called 'summer' for a few minutes until the next squall passes by. Is it 'worth' £35? depends entirely on the value placed upon convenience - which is why they make it an option, I guess. Does anyone know what the major differences / plus points / negatives would be of this the Feedback Sports Sprint Work Stand versus the Feedback Sports Pro-Elite Work Stand? Looking at the Feedback Sports website it seems that the major difference is how the bike clamps to the stand with the Sprint attaching to the forks. I've never had a Work Stand before but I'm fed up with trying to do my best leaning my bike against various things and it not working properly. I've considered the Aldi / Lidl stands but I commute daily and need to clean / maintain my bike quite a lot so I'd rather buy once and have a good stable stand that does the job for what will hopefully be years. Thanks for any thoughts because I've no idea about the pros or cons of different ways that bikes attach to a Work Stand because I've not used one before. Yep, the major difference is the clamp style. Both spin, both support the same weight, the Sprint folds a bit smaller and has a smaller footprint. 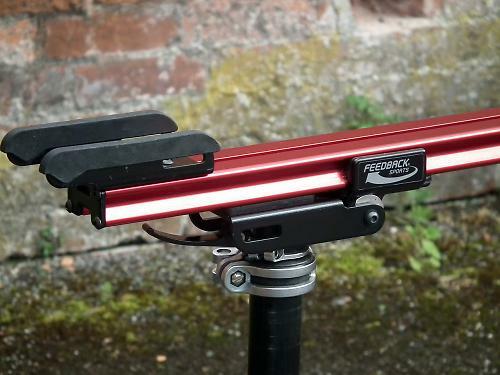 For people commuting with lights, under-saddle cameras like the Fly6, or saddlebags, or just with little seatpost showing, a post clamp can be a drag - it's much quicker to drop out the front wheel than remove and refit everything. Also if you run a carbon post it's a no-no. If you have a fixed front mudguard the Sprint may not work for you. Yes, Lidl/Aldi is an option. But for regular use, you'll quickly come to regret it / appreciate springing the extra for the FBS one. 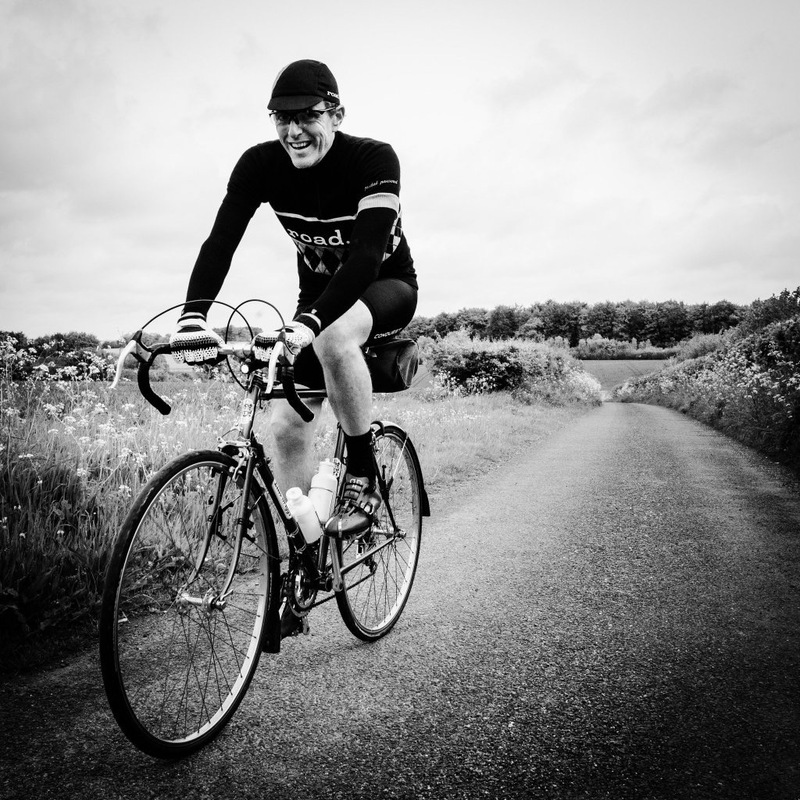 Maintaining strict Road.CC impartiality here, and depending on your bike setup, other options are available such as the Park PRS-21 (previously reviewed), and the Tacx Spider Team, (forthcoming review). Pros/cons to both. Many thanks for the reply which is really helpful because not having owned or used a stand before I was struggling the evaluate the differences between the FS Sprint and Pro-Elite stands. Your advice is very helpful & much appreciated. Particularly your comment about having fixed mudguards was really useful. That's because my bike (aluminium frame), which gets used for year round all weather commuting and needs regular maintenance, has fixed mudguards and my wifes bikes (aluminium step-through frame) also has fixed mudguards. My long term plan once I've saved enough money is to buy a steel framed replacement for my now very old Trek hybrid and that will also have fixed mudguards. Therefore the Pro-Elite with the frame clamp might be the best bet for me. Thanks for the other recommendations of work stands from other brands and I'll look at those as well.